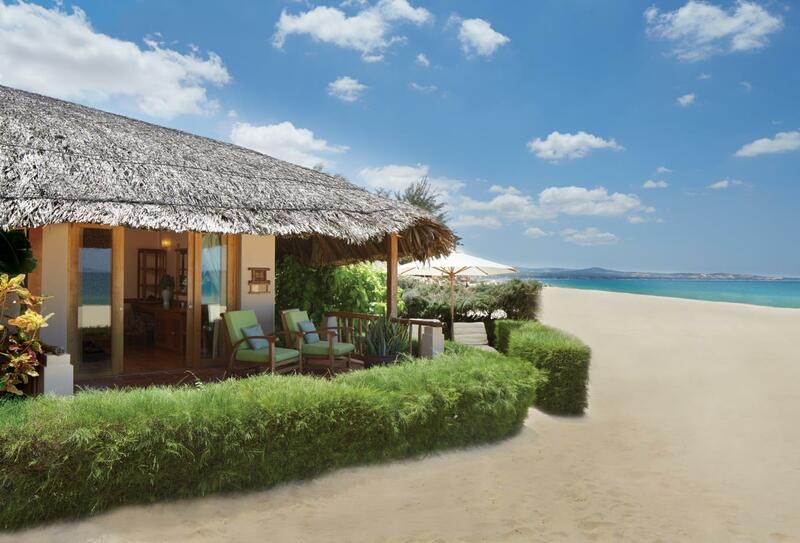 Mia Resort Mui Ne is a small and exclusive boutique resort in the centre of Mui Ne in the Binh Thuan province. 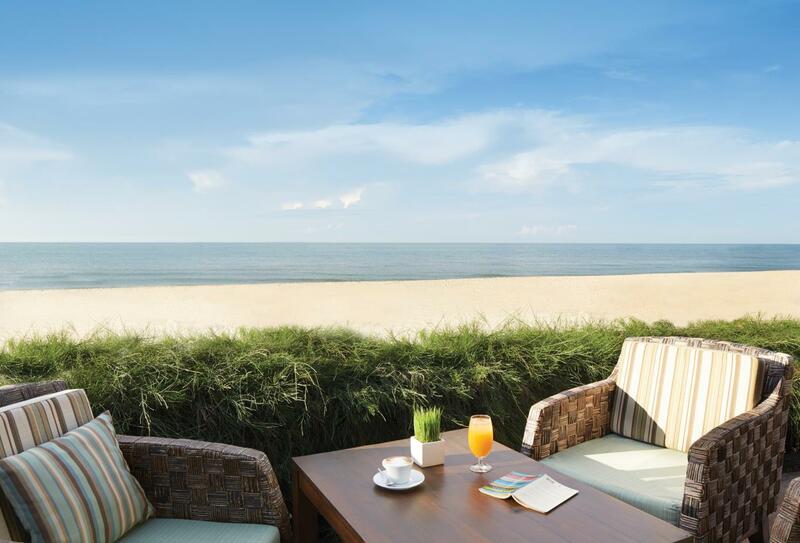 It’s a haven of tranquillity and relaxation right on the beachfront. Beautiful wide open natural spaces and comfortable, spacious airy interiors give the feeling of freedom and rest. Everything here is designed with a simple and rustic elegance that feels like a fusion of the traditional and modern. Accommodations are built with your comfort in mind, blending contemporary living with luxury design and featuring high ceilings and quality fittings. Leisure facilities include a swimming pool, luxurious spa facilities, a well-equipped gym and complimentary water sports. Also, Mui Ne is becoming known as the kiteboarding and windsurfing capital of Vietnam and neighbouring Phan Thiet has one of the finest 18-hole golf courses in the country at the Ocean Dunes Golf Club. Sandals restaurant and bar offers world class Vietnamese and western cuisine and the opportunity to dine inside or alfresco beside the pool. Tastefully designed and well suited for large families or a group of friends. 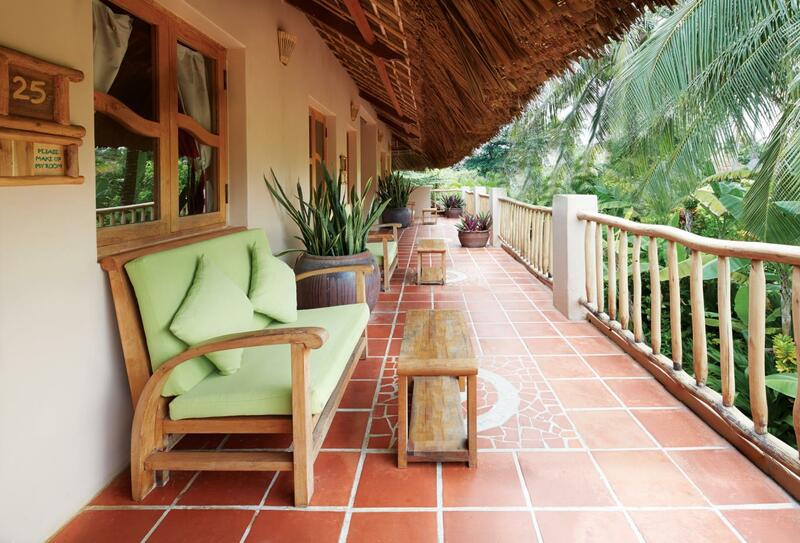 The block of seven house rooms is surrounded by lush tropical plants and gardens. Set within an intimate, interlacing labyrinth of garden pathways running through verdant gardens and featuring an open-air bathroom and a veranda overlooking the gardens. Stunning interior design includes a large bedroom and veranda, a writing desk and doors leading to the marble bathtub and shower. 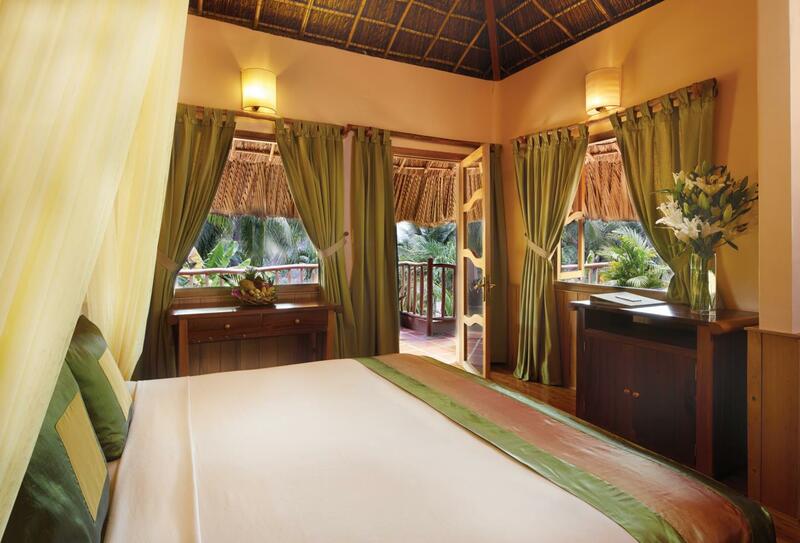 With all the comforts and features of the Deluxe Garden View bungalows but set right on the beach so you can step straight out onto the sand and enjoy uninterrupted views of the East Sea. 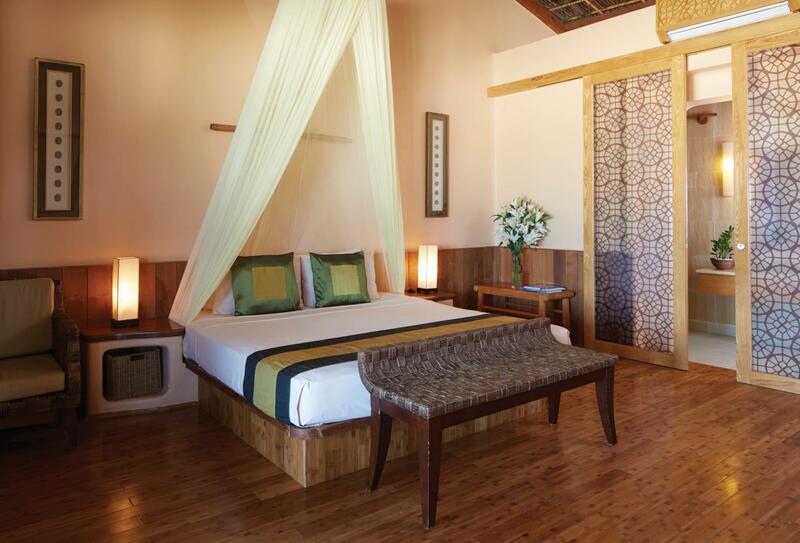 This villa’s extensive features include 2 double bedrooms, a children’s room, kitchenette and spacious living areas. 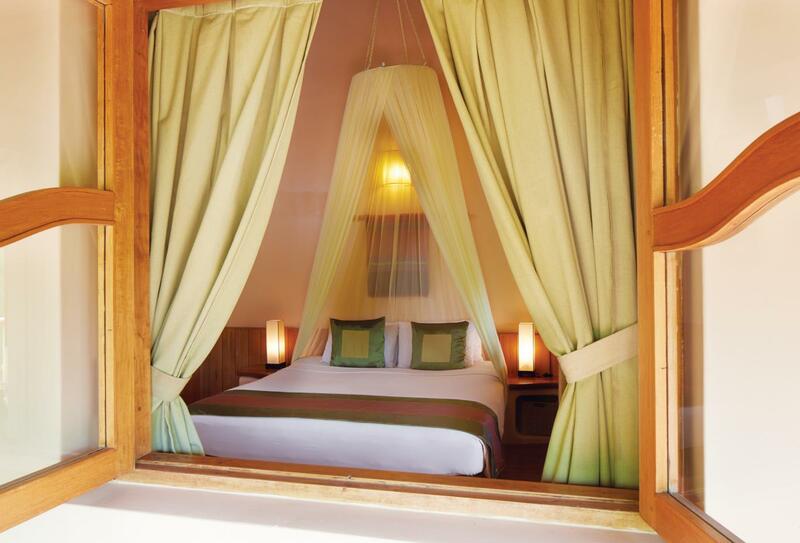 All bedrooms lead onto a large open balcony overlooking tropical gardens. The master bedroom has a sizeable dressing room, space for a baby cot and a large ensuite bathroom with tub and shower. Immerse yourself in complete sensual pleasure as trained professionals ease your muscles, refresh and rejuvenate your skin and relax your mind. Choose from a range of facials, body treatments and wraps adapted to your specific requirements. You can experience these privately with someone special in a uniquely designed couple’s room or in the spa’s open-air hut. Restaurant offering world class Vietnamese and western cuisine using only the freshest ingredients. Choose to sit inside or on the front terrace looking out to sea. 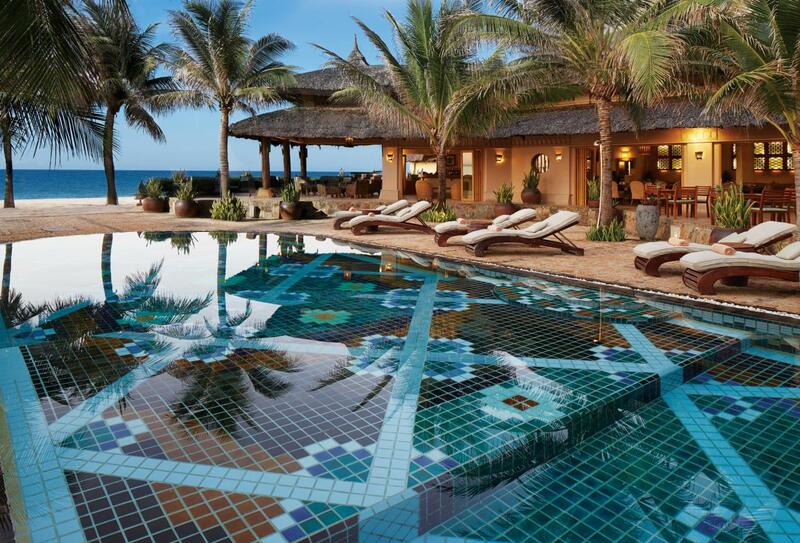 Mia Resort Mui Ne sits within beautiful gardens in the centre of Mui Ne, close to shops and restaurants and 5.5 hours by car from Ho Chi Minh City Airport.